Here’s the only completed project I took a picture of. 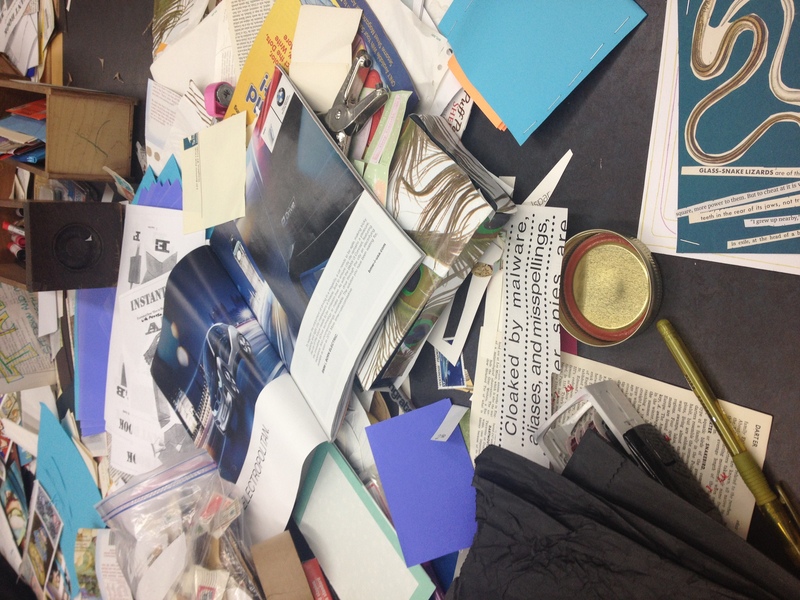 And I felt proud to know that I have all the goods to throw together an art table out of my stash of collage materials. Who said hoarding was all bad. The Zine’s and prints were amazing and I came home with a big pile of gorgeous work and met some wonderful and inspiring artists. I’d do it again in a heartbeat! Even with all the lugging and impossible construction going on all around us. It was a blast!